Medway Yacht Club has a active and growing dinghy fleet with regular racing and opportunities for cruising. A dvice, training and boat tuning is always available from the more experienced club members and coaches. Racing takes place on Saturday & Sunday throughout the season which runs from April through to the end of October. 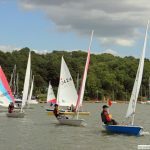 We sail on the tidal River Medway from our clubhouse at Upnor, this location gives fantastic sailing opportunities in both sheltered and open waters of the river for young and the not so young alike. The sailing area provides a safe environment for novices and the experienced sailors alike. From the elevated position of the clubhouse there are good views of the historic river and the local racing. Launching from the All-Tide slipway and pontoon make launching and recovery of dinghies an easy task. Along with the club series racing and special events, the club actively promotes Open Meetings and Regattas. If you are interested in Dinghy Sailing at Medway Yacht Club you do not need a boat or expensive equipment, all you need is the enthusiasm to sail. Come along you will be made very welcome. 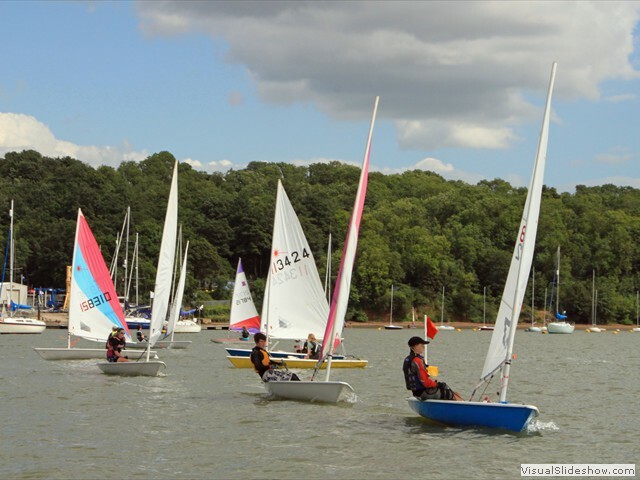 Dinghy sailing is fun and can be inexpensive, come along and join the social scene, meet new friends and take up the crewing opportunities that are freely available.